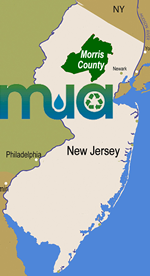 The MCMUA provides curbside recycling to many Morris County municipalities through shared services inter-local governmental agreements. Additionally, the MCMUA also provides roll-off and dumpster recycling services for other public sector entities; e.g., schools, housing authorities through the same types of agreements. 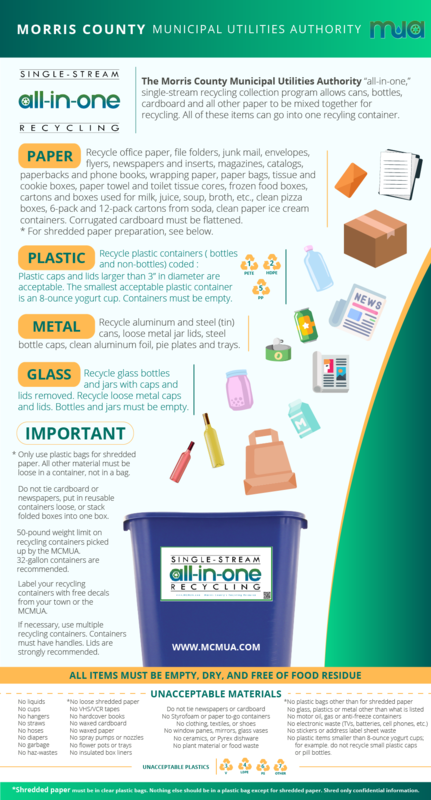 Finally, the MCMUA can also provide recycling services for certain businesses located in our service areas. 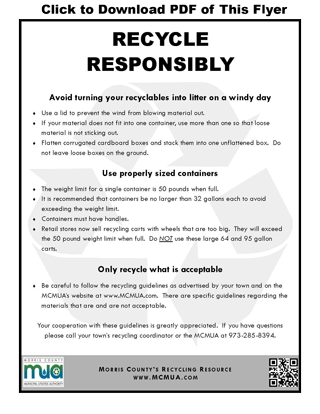 Recycling containers should be at curbside the night before the collection day, and the maximum weight of a curbside recycling container and its contents is 50 pounds. On Focus on Morris County, Penny Jones, MCMUA recycling education specialist, discusses 2012 recycling changes.